...and the child fell asleep. Recursion is an object or process that is defined in terms of itself. Mathematical patterns such as factorials and the Fibonacci series are recursive. Documents that can contain other documents, which themselves can contain other documents, are recursive. Fractal images, and even certain biological processes are recursive in how they work. 19.1 Where is Recursion Used? Documents, such as web pages, are naturally recursive. For example, Figure 19.1 shows a web document. That web document can be contained in a “box,” which can help layout the page as shown in Figure 19.2. This works recursively. 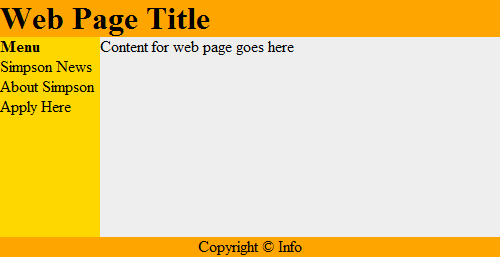 Each box can contain a web page, that can have a box, which could contain another web page as shown in Figure 19.3. Recursive functions are often used with advanced searching and sorting algorithms. We'll show some of that here and if you take a “data structures” class you will see a lot more of it. Even if a person does not become a programmer, understanding the concept of recursive systems is important. If there is a business need for recursive table structures, documents, or something else, it is important to know how to specify this to the programmer up front. For example, a person might specify that a web program for recipes needs the ability to support ingredients and directions. A person familiar with recursion might state that each ingredient could itself be a recipes with other ingredients (that could be recipes.) The second system is considerably more powerful. 19.2 How is Recursion Coded? The computer is telling you, the programmer, that you have gone too far down the rabbit hole. To successfully use recursion, there needs to be a way to prevent the function from endlessly calling itself over and over again. The example below counts how many times it has been called, and uses an if statement to exit once the function has called itself ten times. Any code that can be done recursively can be done without using recursion. Some programmers feel that the recursive code is easier to understand. Below are two example functions that calculate $n!$. The first one is non-recursive, the second is recursive. The functions do nothing by themselves. Below is an example where we put it all together. This example also adds some print statements inside the function so we can see what is happening. I can calculate a factorial! Recursion is great to work with structured documents that are themselves recursive. 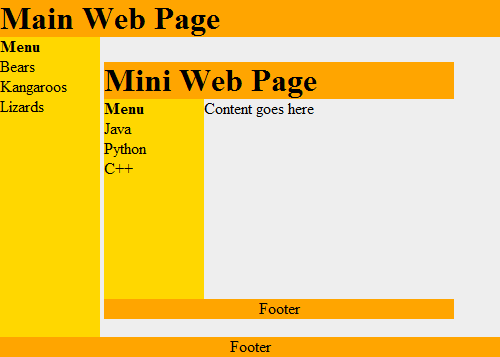 For example, a web document can have a table divided into rows and columns to help with layout. One row might be the header, another row the main body, and finally the footer. Inside a table cell, might be another table. And inside of that can exist yet another table. Another example is e-mail. It is possible to attach another person's e-mail to a your own e-mail. But that e-mail could have another e-mail attached to it, and so on. 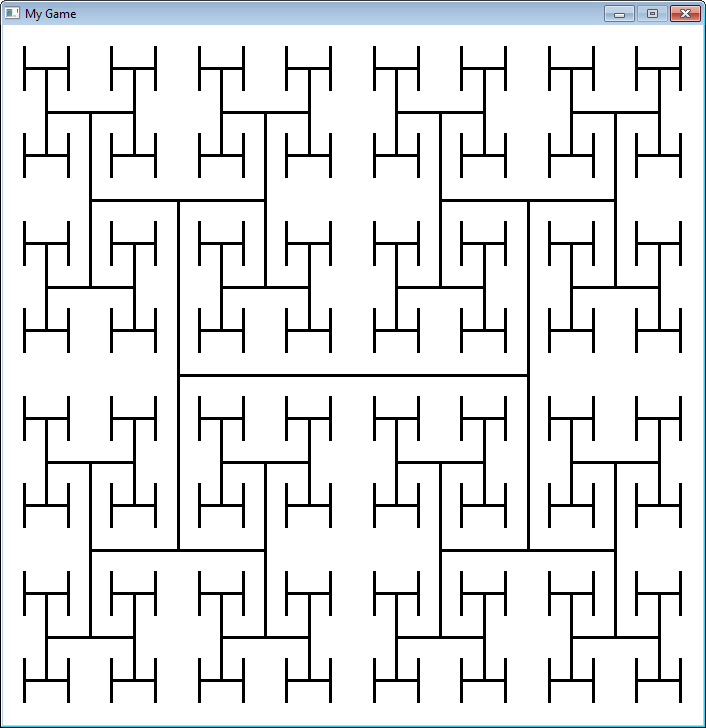 Can we visually see recursion in action in one of our Pygame programs? Yes! 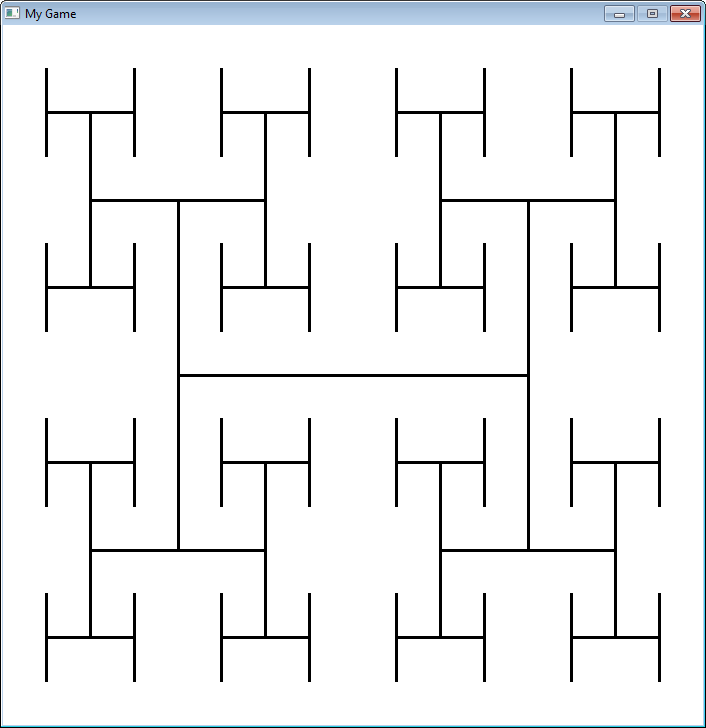 Figure 19.4 shows an example program that draws a rectangle, and recursively keeps drawing rectangles inside of it. Each rectangle is 20% smaller than the parent rectangle. Look at the code. 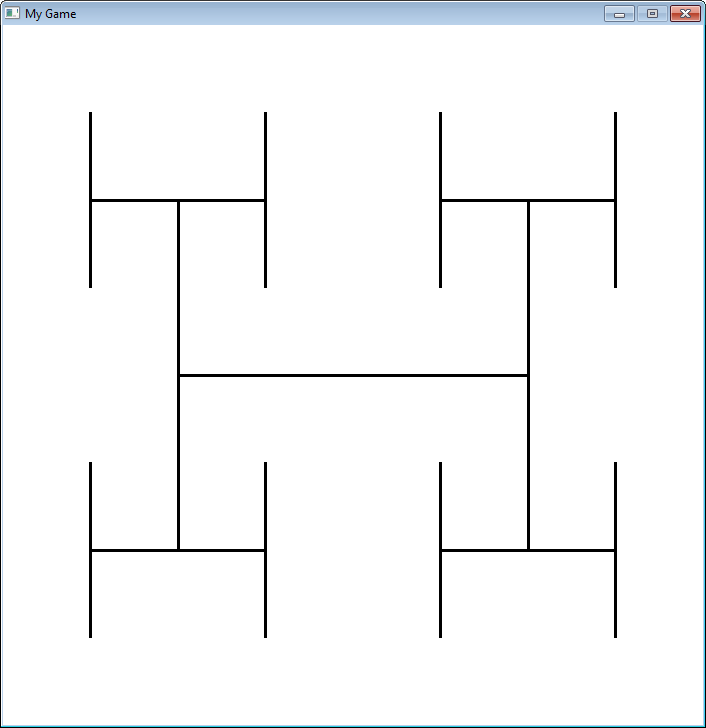 Pay close attention to the recursive call in the recursive_draw function.
""" 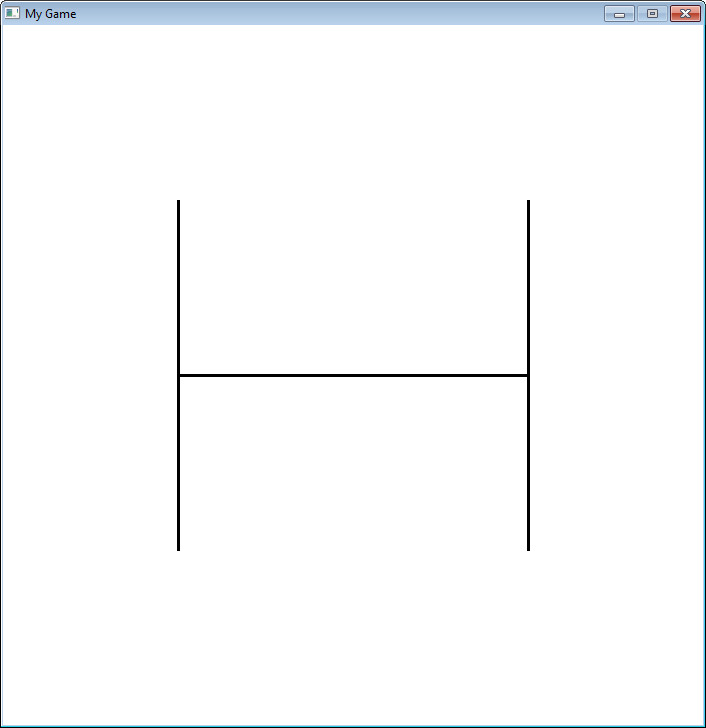 Recursive rectangle function. """ # Is the rectangle wide enough to draw again? Fractals are defined recursively. 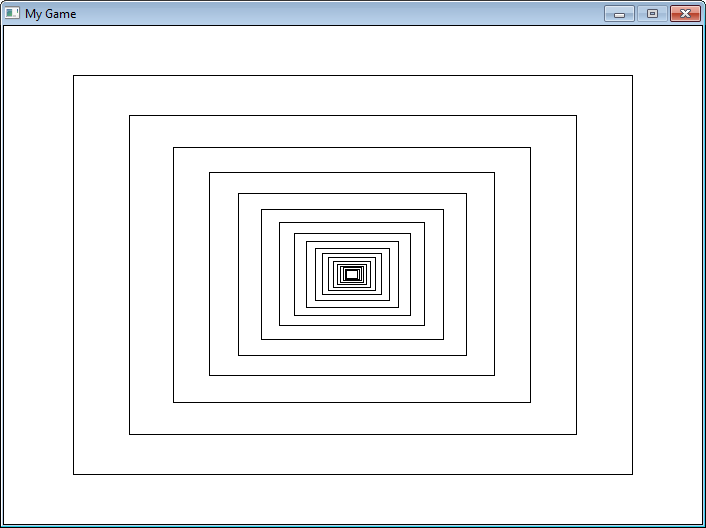 Here is a very simple fractal, showing how it changes depending on how “deep” the recursion goes.